Stephanie and Jordan met me at one of my favorite little spots in College Station for their engagement session in October. We adventured around a bit, had a lot of fun in the Texas sunshine, and I even got to explore the new area around the Hotel Stella -- it's pretty sweet if you're local to BCS. I had such a great time with these two and their pup, Remi. 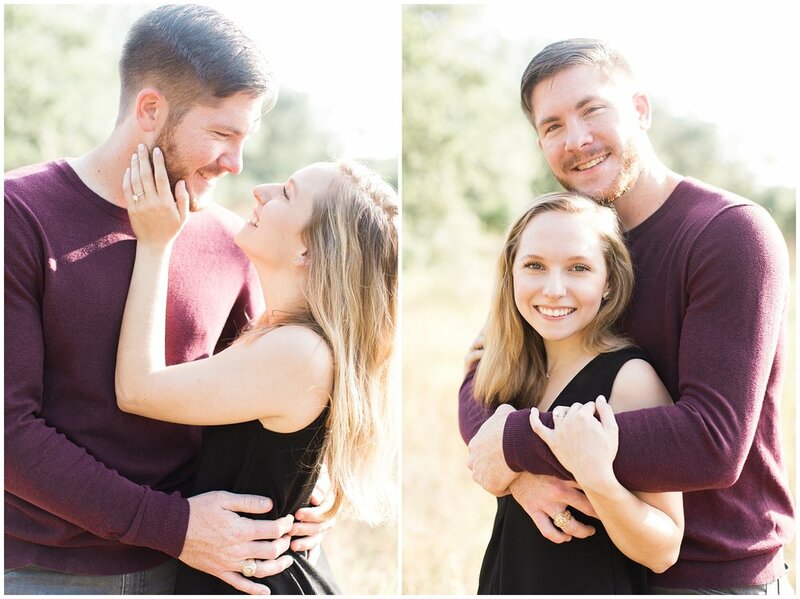 They will be my first wedding back from maternity leave in the spring, and I'm really excited to have such a sweet, sweet couple to work with after my longest break from weddings in almost 4 years. Stephanie thought it'd be fun to do part of their session near Hotel Stella because that's where they'll be staying the night of their wedding since it's so close to their reception at Traditions Golf Club in Bryan. I can't wait to celebrate another Mr. and Mrs. Ross on their big day in March! 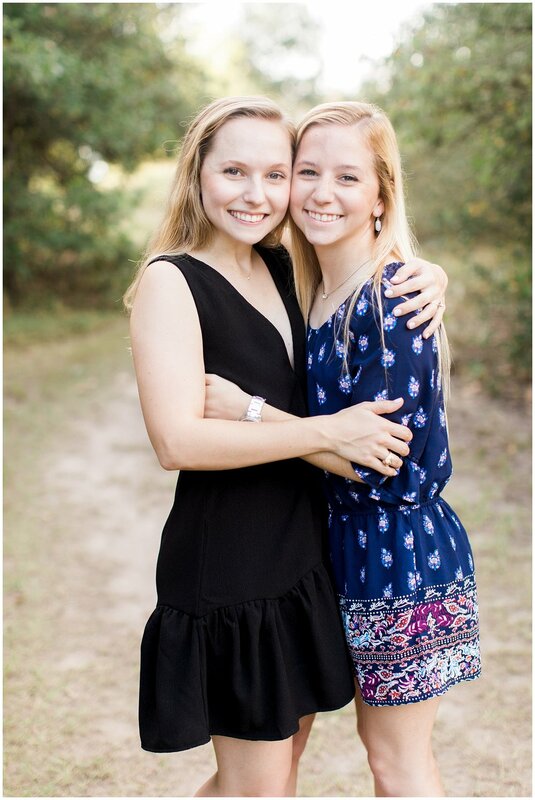 These two were so much fun to photograph! Natalie and Devyn are pretty much naturals in front of the camera, and I loved that they made each other laugh the entire time I photographed them. Those smiles are genuine, y'all! I love the moody romantic contrast of the final images from their session. The sun was just about to go down, and even though I usually prefer the brighter, happier sunshine that appears an hour or so before sunset, I can't help but love the feeling that light helped create in the last few images. Special thanks to Leanna Duran of Naturally Flawless for doing an amazing job on Natalie's makeup!